The Pabst-MillerCoors lawsuit, which opened in Milwaukee County Circuit Court today, is thrilling only to contracts lawyers, brewery insiders, and drinkers who love $2 PBR tallboys. At issue is whether MillerCoors can end an agreement by which it has brewed Pabst’s beer brands for 19 years—a move that Pabst says would kill PBR. The Associated Press reports MillerCoors has been brewing Pabst brands, including PBR, Old Milwaukee, Natty Boh, and Lone Star, since 1999, and the company’s lawyers say it has no other way to brew them aside from its partnership with MillerCoors. This type of agreement, called contract brewing, is common practice in the brewing industry, though consumers wouldn’t necessarily know that. 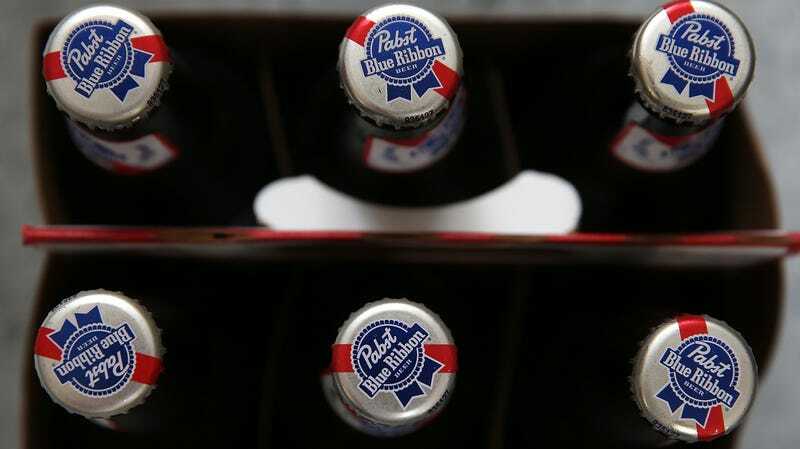 Essentially, a beer company (Pabst) contracts with another brewery (MillerCoors) to brew and package its beer recipes. Breweries large and small do it for a variety of logistical reasons: They don’t have enough space; they don’t have the necessary equipment; shipping considerations, etc. The MillerCoors/Pabst agreement expires in 2020, and MillerCoors’ lawyers say the company isn’t interested in extending it. Pabst counters that MillerCoors is doing so to remove Pabst as a competitor in the cheap-beer market, claiming it has documents that show MillerCoors is trying to “get rid” of Pabst. The case hinges on the terms of the contract brewing negotiations, which are probably snooze-inducing. Drinkers will want to keep an eye on the case as it’s adjudicated this month, because if in fact Pabst is unable to brew these beers without MillerCoors, it could mean an end to PBR, Old Milwaukee, and other brands. Hoard those $2 tallboy while you can, ya hipsters.